With Spring arriving across the country, there is growing interest in raising chickens, gathering eggs and protecting this precious animal. Cities are passing “chicken ordinances” (many are allowing 3 chickens per backyard) and folks are reading up on how best to feed, house and care for their fine, feathered friends. 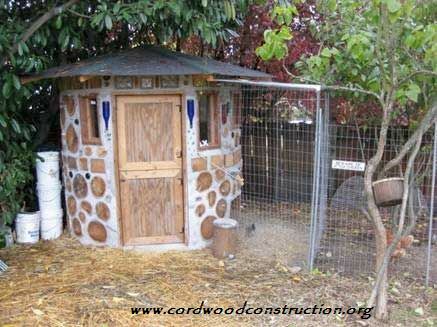 Needless to say, there are some interesting examples of cordwood chicken coops. Here are a few of them. This round chicken coop and pen is in Washington State. It is a simple round structure with no post support, but is it so small, that reaching the top to put on the roof should be quickly accomplished. 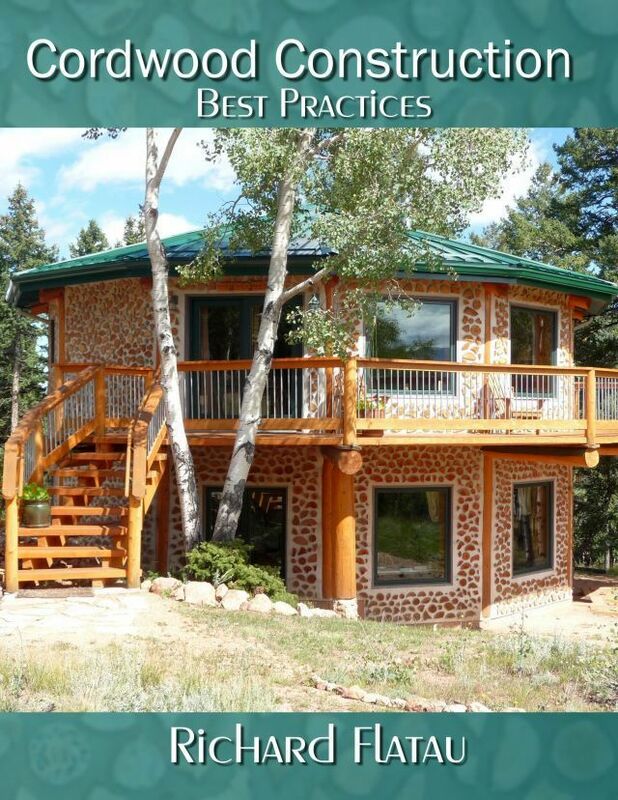 Go to www.chickencastle.com to learn more about how this wonderful family built their coop. This one is from Pinterest and came with no details or photo credits. It is a simple post and beam frame on a raised platform. Note the chicken ramp which can be closed in the evening to keep the predators at bay. 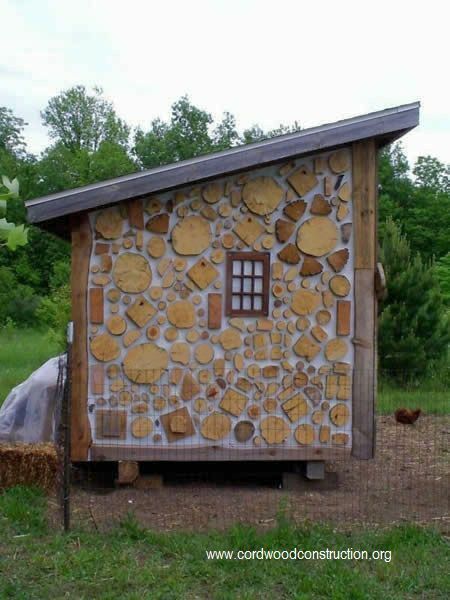 This is Tom Huber’s newest chicken coop in Potsdam, New York. He is now a professor at Paul Smith’s College and is establishing another gorgeous homestead called Cedar Eden. You can see the “scratching pen” at the rear of the photo. 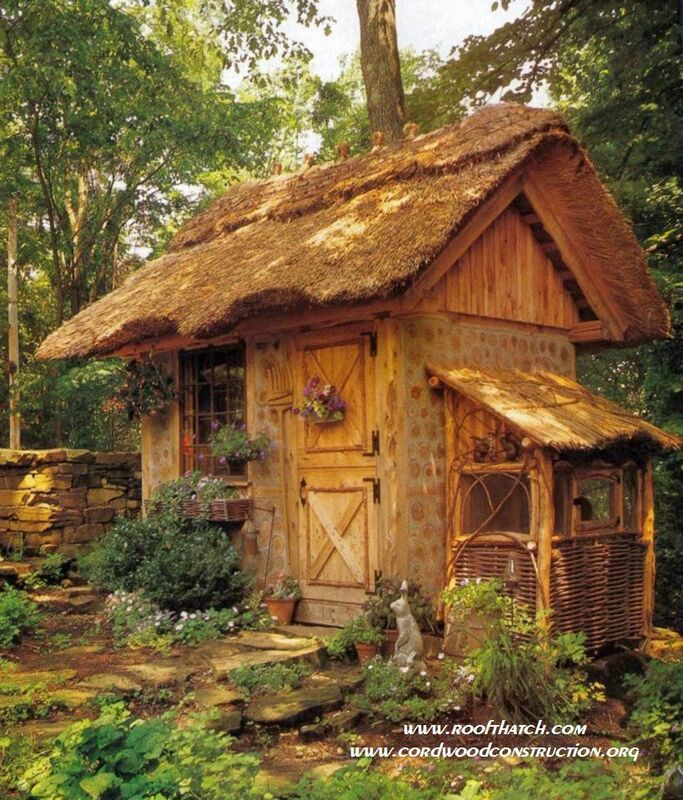 This is William Cahill’s thatch work on a cordwood garden shed with attached chicken coop/rabbit hutch. Located in southern Indiana, the climate is ideal for keeping the birds laying year round. 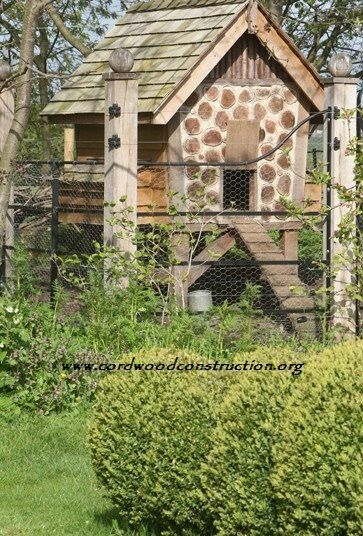 If you are interested in a cordwood chicken coop it would be wise to gather information on how to best build a cordwood shed/coop. 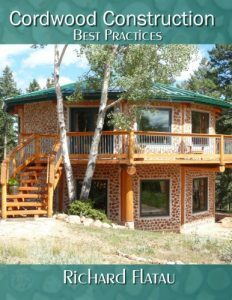 Cordwood Construction Best Practices is the latest book on the subject (updated as of 2015) and it will teach you how to build a lasting structure using a best practices approach. 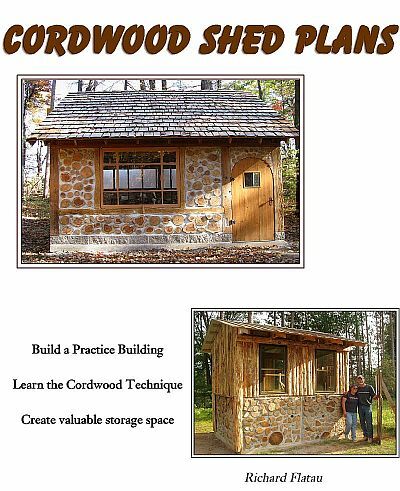 Or you can go to www.cordwoodconstruction.org and click on the online bookstore link to find this and many other cordwood books in ebook, CD and print format. Good luck with your project. 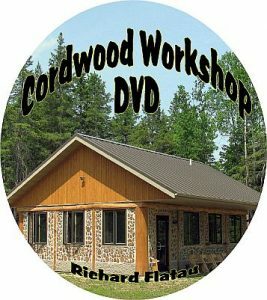 If you have a question, please email me at richardflatau@gmail.com and if I am not out teaching a cordwood workshop, I will get back to you asap. 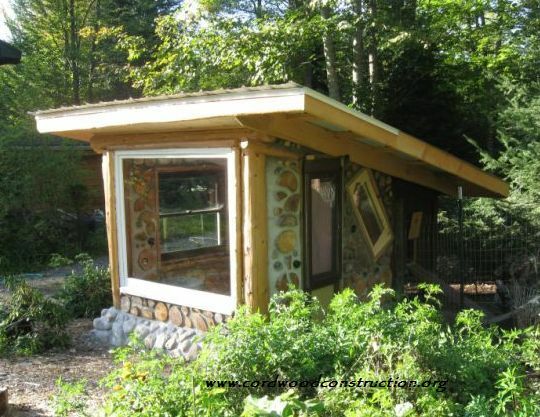 While at the online bookstore, you may also want to take a peek at Cordwood Shed Plans.